Taste of Baltimore: Are My Dreams Coming True? Remember I told you that I loved the Chocolatea Cafe and Tea Room because it combined my two favorite things, Chocolate and Tea? Well...I may have found something even more amazing. 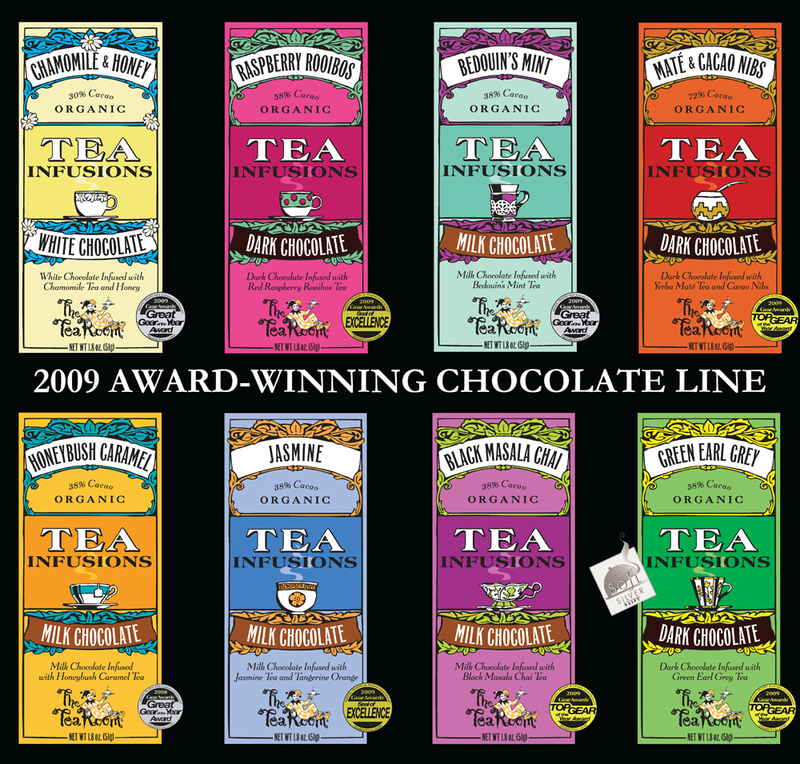 (Organic) Chocolate bars infused with tea!!!!!!!!!!!!!!!!!! Milk Chocolate with Jasmine Tea and Tangerine Orange - I would totally try this just because I am intrigued. Milk Chocolate with Black Masala Chai - I would DESTROY these. I kinda wish it was dark chocolate though. Dark Chocolate with Mate and Cacao Nibs - Mmmmm I love cacao nibs. I bet this would be really smoky because of the Mate. Dark Chocolate with Raspberry Rooibos - Eh...not as excited for this one. Dark Chocolate with Green Earl Grey Tea - I don't know how I feel about green tea + chocolate, but why not. You can buy them here for $3.85 per bar. That seems a little high considering you will have to pay for shipping...I'll probably hold out and see if I can find them at Wegman's or some other specialty grocery store. What do you think? Do these appeal to you at all, or am I an anomaly? Thanks to The Kitchn for the tip! 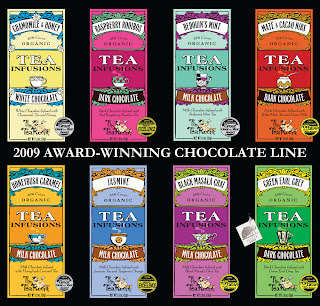 I'm not sure how I feel about chocolate and tea...but I'm not the biggest tea lover. I'll let you know if these show up at Whole Foods! They sound awesome to me! I'd love to try the milk chocolate and chai version. Maybe you can buy them in the chocolate section at Ma Petite Shoe?